For those of you who dearly wished You’re Beautiful’s “Shin-woo hyung” would get the girl, here’s the next best thing: Park Shin-hye and Jung Yong-hwa have been cast as the leads in an upcoming drama titled Festival. 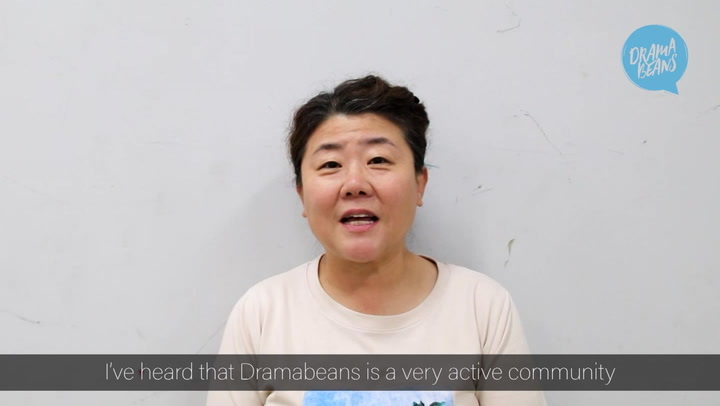 The drama hops onto the bandwagon of music-related shows, described as a “youth melodrama” that centers around the “dreams, tears, and loves” of the students at an arts university, where students pursue aspirations in dance, song, acting, and literary arts. So… Dream High meets What’s Up, v.2.0? With a dash of Mary Stayed Out All Night, to boot. Park Shin-hye once again plays a cute, lively character, Lee Kyu-won, who is enrolled in the classical Korean music department and comes from a long line of classical musicians. Her family is famed for its pansori talents, and she plays the stringed gayageum. It’s a Pyo Min-su series, which means (in my book) that it’ll be well-paced, with cute moments and some humor; PD Pyo is the director who did Full House, The World They Live In, and last year’s Coffee House. I’ve liked all of his shows (okay, not so much Insoon Is Pretty) but haven’t loved any, so his name isn’t an automatic sell for me. Festival is scheduled for a June 22 premiere on MBC, making it a Wednesday-Thursday drama. Um…I’m WAY IFFY on this, for a couple reasons. First is because of the premise; I don’t necessarily think that all these dramas are copycatting each other, since it could be a coincidence/Zeitgeist thing. But while I have enough excitement in me for a What’s Up, I don’t know if I have enough to look forward to both The Musical and Festival as well. 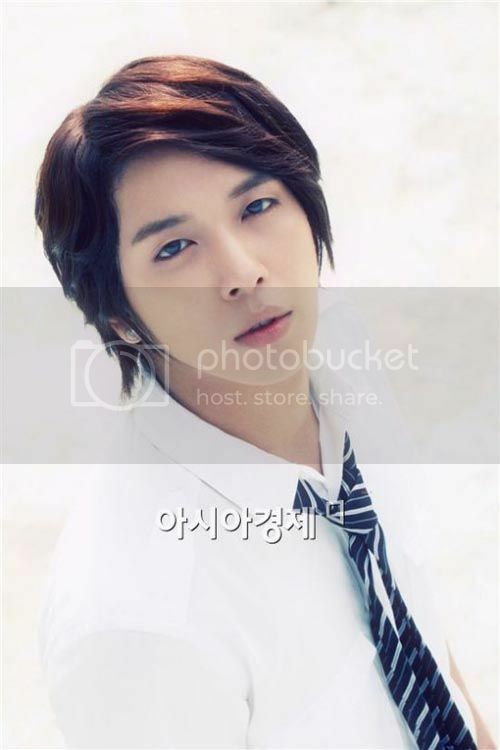 Second is Jung Yong-hwa, whom I never really cottoned to in You’re Beautiful. Oh, I liked his character — who wouldn’t like a sweetie like Shin-woo, even if you were ultimately rooting for Tae-kyung? — but his acting? Eeeeek. To be fair, he had a good episode (the 13th), but really, that was more like a good 5 minutes. To carry a drama on his own? I suppose Playful Kiss is an instance of a second project showing an improvement from the first…but then, that’s not really a drama you want to compare yourself to when you’re hoping for success, is it? I'm sure You're Beautiful shippers are happy about this; another incident to their collection lol. I thought Park Shin Hye is going to be in Tawainese drama? Hmm.. busy girl, heh? Another crappy version of a crappy "trendy" drama? Hopefully his acting isn't a crappy version of his crappy acting in the past as well. Whatevs. I'll pass on this one. Gimme something with meat! You should watch sign, such a good drama. Aigoo....sorry, but I pass on this one! Park Shin-hye is waaaay tooooo talented to be used with that co-star!!!! really? as far as I know PSH has been playing the same character over and over again. Cute, bubbly, lively character, and bla bla bla.... safe roles, eh? You haven't seen much then have you. shin hye has a larger variety of roles. cute and bubbly is just the only thing that usually gets any hype. True, I haven't seen much of her project. Coz I'm not a fan of her. But her roles in Goong S & YAB don't impressed me that much. IMO, more like decent. It's not bad but it's an okay for me. You should see her in Tree of Heaven. It's so different from You're Beautiful and Cyrano Dating Agency. It's about a love between stepbrother and -sister. I really liked it. I thought she did a good job and her japanese was good too!!! she was a lot different in cyrano dating agency. up till the end i actually liked her for trying to branch away from the young cute aegyo roles. So, who will be the second leads. I for one hope it isn't EunJung. I don't think I can stand another drama where her fans complain that she didn't get the guy at the end. Am I the only one who thinks Eun Jung and Park Shin Hye look alike? As in, could play sisters lookalike? Okay, just me? I don't know. I might watch this for curiosity's sake. My question is, why do the leads have the same last name? I always thought that was kind of a no-no? My lack of Korean cultural knowledge kills me. And wasn't Lee Shin the name of the lead in Princess Hours...? why do the leads have the same last name? I think it reflects SK IRL. "The most common Korean surname (particularly in South Korea) is Kim, followed by Lee and Park. Together, these three surnames are held by around half of the ethnic Korean population." I have same observation as you. Why do Koreans have limited surnames - probably less than 20 only? Are those with same surnames all related? It's not just Koreans. I'm Hmong, and we only have about 7 major last names; Lee and Yang included. The studios dropped kick WU to the curb for this? since this is a "youth melodrama"... can we expect the lead female to have xeroderma pigmentosum, and she'll probably die while walking on the beach, and holding onto the guy? This isn't a Japanese drama, this is Korean. lol, I think you forgot about her being blind. There should be a melodrama plot generator. SHE was born with a liver defect that does not allow her to interact with the HE who has an A+ spleen which could KILL her if they even touched, let alone KISSED but they fall in love despite their grandfathers' dying wish to destroy each other because of an ongoing RADISH field feud and they are actually RELATED because their mothers are SISTERs who were separated when one of them won the violin concerto competition in Hong Kong, but, who sadly, lost her sense of Touch and went crazy and couldn't recognize her own SON ten years after he was born so he went to the ORPHANAGE but, not really, because HE is actually SOMEONE else altogether, and the violin mother was never even pregnant -they just pretended she was so she would start eating again, and she tricked them when she found a baby floating in the river, who was HIM. So everything's actually cool afterall. Let's move to Nevada to cure the liver problem and LHEA. Can you imagine trying to write for a daily soap while keeping it fresh? It must be excruciating, or, I guess, easy. You would have to get very Zen about the whole thing. Some Latin American soap operas make you feel like there's no logic in their worlds. How come people in dramaland can talk out loud to themselves in busy hallways and no one can hear their evil plot? I have to agree with your saying about our local TV drama quality. (it's off topic) But at least our celebrities mostly have natural beauty. No fixing anything and no plastic surgery. if they're good looking than they get it originally from their parents. I can say that's my proud as an Indonesian. Ouch! To compare him to Playful Kiss right off the bat. That's harsh. He wasn't that bad. meh. not that i don't love PSH and JYH, but before another musical-idol drama gets produced, i would still rather "what's up" get picked up!!! c'mon people (broadcast networks), that looked AMAZING!!! i'll be the first to admit that i am still going to watch this though. i hope it's more "youthful" than "meolodramatic"! Yeah....give us what's up, please!!!!! "So… Dream High meets What’s Up, v.2.0? With a dash of Mary Stayed Out All Night, to boot." Let's not forget "Beethoven's Virus"
Everything about this drama so far is giving off such a "been there, done that, possibly done it better" vibe. Music centered plot line with cold aloof hero? Check. Pretty idol with somewhat wooden actor? Check. Butthurt fans coming out to defend said idol? Coming soon to a comment thread near you. With that said, I love "Coffee House" and if CNBlue does the music for this, I shall be a happy fangirl since I adore their music. Other than that, I'm still so very darn bitter that What's Up? is not coming out still! WHY KOREA WHY?? Totally agree with your points. Why pass up What's Up for this recycled crap? I love PSH (recently watched the 44-ep family drama Kimcheed Radish Cubes just for her, and loved her in it) which makes me even more irritated that she's being paired up with a bad actor playing a lame version of the Darcy. Okay that was like, everything I wanted to say in a nutshell. I love you, Jung Yonghwa, but not when you are acting. I had serious problems with your wooden acting in You're Beautiful. SERIOUS. Granted, you were not as horrendous as Kim Hyunjoong (forever, FOREVER unredeemed for ruining Rui). But playing the lead? Uh...... You know what I don't even care anymore, bring on the hate I will have my war suit on and I will duke it out if I have to. AND WHY ISN'T WHAT'S UP COMING OUT?! I AM SERIOUSLY RAGING. THIS IS RIDICULOUS, PEOPLE. RIDICULOUS. oops i was supposed to reply to the 9th comment! Honestly, I felt that JYH was even more wooden than KHJ. KHJ somehow embodied Jihoo (in my book at least), as I watched BOF i didn't see KHJ, he was Jihoo. That's important to me, when I watch my dramas. That the actor/actress becomes the role, rather than overwhelming the role with their 'real' life persona. But anyways, both actors must have put in a lot of effort, so let's give the guys a break. KHJ fainted during the course of BOF filming and lost so much weight- he gave his all to his work, so let's give him some acknowledgement for that. As much as I like Shinwoo (the character in YB) and Go Mi Nam (overall), I feel skeptical about this drama especially for Park Shin Hye. I believe she should do something that is different from her past roles/projects. She has the talent in acting and choosing the right project is only she needs. I dont understand whats with everyone demanding her to "try different roles"? Sounds way too similar to the usual storylines we get, about a cold guy and a lively girl who are mutually attracted to each other. Bleh. Sounds like a blend of Dream High and You're Beautiful. at least we can hope for good chemistry between these two, no? As far I know Yonghwa and Shinhye are good friends. ( the real ) Jung Yong hwa in We Got Married is playful and mischievous, so I wonder if he can do the proud, cold character. Won't expect high from this, but definitely will check its first episode. Ahh, it's kinda feel unfair that there are new dramas in the making and get time slots so fast while What's Up which already finished filming keeps being pushed. shinwoo gets the girl!! yay!!! his shinwoo character was so far off from his real life personality(which i adore) i hope this new character doesn't turn out to be the typical darcy but i have to say, i wish park shin hye would do a different role. i'm sort of tired of seeing her do the bubbly, innocent act. Not terribly excited even as a YB fan. Jung Yong-hwa may have the fanbase to command the lead role, but not the skills to match up to it. Kim Hyun Joong/Playful Kiss comparison is certainly valid. And although I do have a bit of a girl crush on Park Shin Hye, she's already played the role as a cute, lively girl before so it really isn't any new. The plot doesn't sound very original either. Of course, the important thing is still the execution. Maybe I'll end up liking it more than I think? Just have to wait and see. uhm this singing and dancing, despite how much fun it is, is bound to get really tiring once an influx rolls in (like now). I was disappointed that Shin Woo didn't get the girl in YAB. So frustrating that Mi Nam was blind as bat!!! Anyway I'm happy to see these two young people work together again. 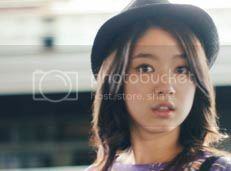 I love PSH! It's good to see them to have finally paired as a couple again. This is really a couple I wish to see again! They were so cute. Oh My...if this pairing happens...I will be so excited. They need their own drama. "Now, can we at least have Kim Bum and Kim So Eun as a main couple in a drama again? please PD-nim? *puppy eyes*"
Kim Bum and Kim So Eun in romance/comedy/melodrama. Now that's what I wanna see. Instead of making an article about this, can't you discuss Jang Ja Yeon's list.... because seriously, this is like shaking down of the drama industry. I read about it too! Such shocking news, I really hope they arrest all 31 persons involved. I pity her more. She really endured a lot. It's gonna be impossible... I'm sure. Because in Korean money is louder than justice. Poor girl. Yeah I know, and this isn't just in Korea, but in all world. Poor girls and boys... how many suffered the same? I was wondering that too! I'm surprised dramabeans haven't talked about it yet. Slightly disappointed to be honest. I miss PSH doing more serious dramas like Tree of Heaven. I loved her in that! Yong-hwa meeds to stick to singing. He's got a good voice and great stage presence. All that charisma goes away when he acts because he's so uncomfortable doing it. I get a lot of second hand embarrassment watching him act. Maybe he can get better, but I say why bother. Everyone can and shouldn't do everything. Agree.....YongHwa is amazing at the stage, doing singing, because he realize that he's at the center of attention. And sometimes, I feel like I see his face with expression...."How should I say this line?" Like he doesn't sure how to manage his expression, the tone of his voice, and his body movement. I am actually quite excited about this, despite the fact that it has a lot of potential to become a trainwreck of cliches. what can I say... I love my musical dramas (and my Shin-woo&Mi-nam couple). I liked JYH in YAB, despite his limited range of expressions, but if he's going to be "cold" and proud (sigh) I hope he won't come off as a block of wood. PSH has always been good at doing cute and bubbly but some variation from that will always be welcomed. What I am most iffy about is not acting, but the genre. "youth melodrama"??? why????!!! Was the worse drama I ever watched. The ploblem wasn't the acting, but the plot and the characters were so annoying. I guess you've never seen the black hole that is You Are My Destiny. Insoon is Pretty's first episode was good, but it wouldn't pick up, so I gave up in the beginning episodes. And I was irrationally annoyed by the male lead. I wathed You are my destiny, and lol I do think it was ok. I remember now why I watched Insoon is pretty until the end, it was because of her Hot brother (?) he was such a hottie, wanted to see his ending, and I was disappointed. I Know. I remembered the brother character was super cute! Insoon was too slow paced. Hope Festival X turn out like that. I think I'll pass on this kdrama. Not interested it it. well either way, i am very happy with this pairing! Another music drama when we haven't gotten any news abt whether What's Up or The Musical will actually air soon. Also it's really hard to root for Yong-hwa as the male lead. Then again, this is a youth drama, so it's easy to keep expectations low and know that he'll be using this as his practice for bigger things. If he wants to practice, don't choose the main lead. Choose the second lead or the main lead's best friend. Mostly those characters are one dimensional, only as "supporting characters". I will be watching though just cause I loved PSH in you're beautiful. But the male lead? eek! I would rather watch Whats Up than Festival. The character of Jung Yong-hwa in you´re beautiful is not one of my favorites. Every episode I was screaming "Tell he, TELL HER NOOOOW!" I slapped him in my mind many times, but he dont woke up. I like the Darcy´s. They dont annoy me (yet), but not everybody can do a good and likeable Darcy. I watched Cyrano Dating Agency and i like Park Shin-hye´s character. It was small but different from the one from You´re beautiful, at least for me. She is good at be cute so it ok. I didn't feel much from him in YB. I'm not sure about the cliche'd plot, but I might....maybe....eh, who knows...we'll see when it gets here. "But while I have enough excitement in me for a What’s Up, I don’t know if I have enough to look forward to both The Musical and Festival as well." Exactly my feelings JB.. I'm so invested and looking forward to What's Up that the "other" dramas with same themes are not appealing to me. Or at least I'm not really anticipating or looking forward to watch. SUre when it premieres I will probably check it out.. but I'm not committing to anything. Not unlike What's Up.. that come hell or whatever.. for sure.. I'll be there front and center waiting for the premiere until the last credits roll on its final episode. Huzzah! Seriously! That's exactly what I was going to say! This sounds really basic. But I really like Park Shin Hye, so I'll probably watch this when it airs. Im not going to be too excited in case this drama disappoints me. I don't want a repeat case of MSOAN. In this case it can be even worse. Bad plot plus bad acting. 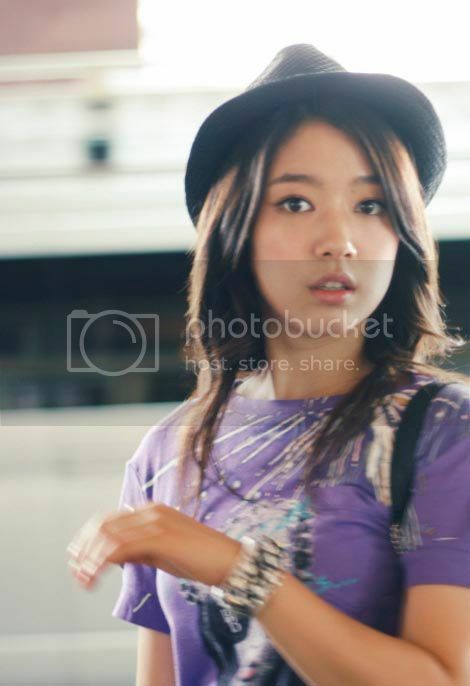 park shin hye is very good actress but Younghwa!!.. I do not think he have the capability to lead a drama yet. Where is JGS when we needed him. Sorry, but I still have Hwang Tae Kyung withdrawal. Hmm, isn't it time that JKS moves on to explore other acting roles/characters besides music related k-dramas? This boy is going to get seriously typecasted! The same for me. He knew he was not a good actor. Never even denied it. I'm just hoping and praying he has improved much, much more. Despite my bias, since I am a CN Blue fan, I will watch this with discerning eyes. I will be praying that he can pull this off and make a success out of the drama. I mean, I was skeptical of My Princess but it turned out great. With Dream High at least SamDong was played by a real actor but the rest of the main cast did nothing for me. It was the story and directing that really did Dream High for me. It was a good story line. JYP being hilarious was just a bonus but love Sam Dong and the 2 teachers and the gangster turned agency mogul. For some strange reason i'm really interested in seeing how this turn out. Actually my mom might like this cause she rooted for shinwoo in YAB. Acting wise i guess we'll have see. Hoping for improvement. Now i have two musical to look forward to. that picture of PSH looks weird. Jung Yong Hwa? I'm out. She is the cutest girl I've ever seen!Weird in perfect way!